Shirts With Random Triangles: Mississippi State adds Tennessee high school QB Nick Tiano to its 2015 recruiting class. 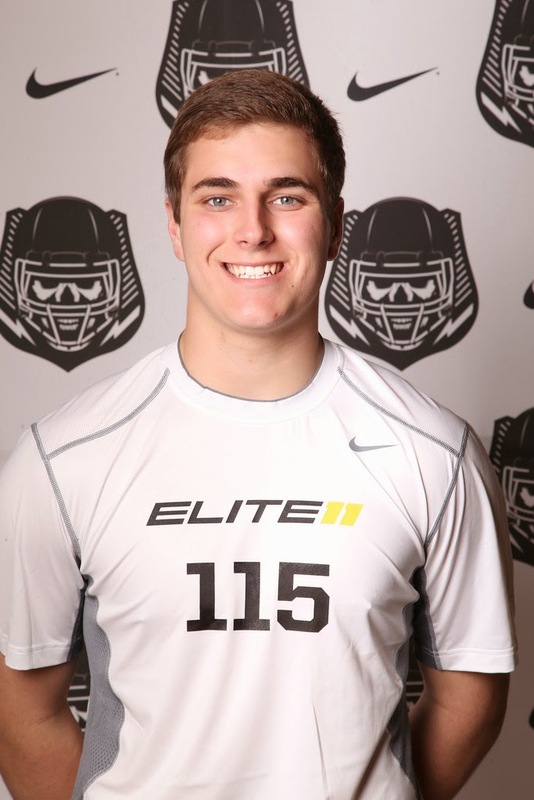 Mississippi State adds Tennessee high school QB Nick Tiano to its 2015 recruiting class. Nick Tiano. Photo via StudentSports.com. Mississippi State added a quarterback from Chattanooga to its 2015 recruiting class. Chattanooga, Tn. high school rising senior QB Nick Tiano committed to Mississippi St. while in Starkville for a football camp. Tiano gave the reasons for his commitment to Bulldog Blitz's Robbie Faulk. "I just loved the school since my first visit," Tiano said of MSU. "I get to work with coach Mullen and coach (Brian) Johnson and they're going to develop me to be the best I can be, I know that. We all have a great relationship and I really feel at home up there. I love the fans and everything about the University. I was just happy to finally get this decision made and to be Bulldog." Tiano is graded as a three-star pro-style QB by Rivals.com. He is ranked at number 22 on Rivals.com's rankings of the top pro-style QB's in the country. Tiano attends Baylor School, a prep school in Chattanooga, Tn. He stands 6'4, and weighs 197 lbs.